On Friday, October 4th, opponents of SB833, Oregon’s Driver Card law, turned in enough signatures to the Secretary of State’s office to potentially get a referendum of SB833 on the November 2014 ballot. This effort by opponents to repeal SB833 is not yet final, however, because all submitted signature still must be reviewed and verified. SB833 provides four year Oregon Driver Cards for people who can prove their identity and age and can pass a driving competency test. 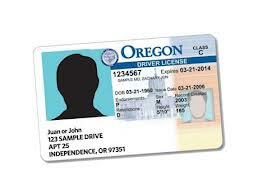 Driver Cards are vitally important to the safety of our Oregon roads and the mobility of all residents of Oregon. If the signatures are valid, the implementation of the Driver Card law will be delayed, and Driver Cards will not be available January 1st. How can I continue to get updated information? It is our top priority to provide you with information regarding this developing situation, and we are committed to providing updates about SB833 as they come out. Please continue to check ILG for updated information. If you haven’t already, sign up for our safe information network. Learn how here. We are disappointed that opponents of the Driver Card law have blocked progress to improve transportability of everyone living in Oregon, regardless of immigrant status, and to make Oregon’s roads safer. It does not serve anyone to have un-licensed, un-tested, and un-insured drivers on Oregon’s roads. In addition, we recognize that mobility is a basic human right, and it is important that immigrants are able to transport themselves to serve themselves, their families, and their communities. Immigrants are vital contributors to our economy and our communities and we will not support legislation that serves to reduce significant members of our communities to second-class citizens. For more information about SB833, check out our recent FAQ page and read CAUSA’s statement.